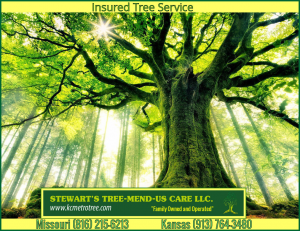 KANSAS CITY – I know it’s November, but if you can spare just one hour to meet with a Kansas City tree expert you can double or even triple the growth rate and over all health to your trees in the spring. Because it’s so easy to see all the branches with no leaves, now is the best time to prune and even trim your trees. You want to work to establish a central leader, which is the core branch growing straightest up the tree. Any larger branches growing close or rubbing up against the central leader should be pruned back. If your in Kansas City Missouri, Overland Park Kansas or any Johnson County surrounding area. Maintaining an important investment that has trees? Tree’s will need attention. Tree-Mend-Us Care has the eye for attention and the detailed oriented insured experts you will need to complete small jobs to complete removals. 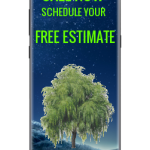 Please call for a free consultation with one of our tree experts today. And visit our website to see what people say!